When a studio offers a package deal of multiple movie titles to be shown together as one feature, they produce a poster highlighting BOTH movie titles. These posters are referred to as combos. The majority of the combo posters were issued for "B" grade movies, particularly those shown at drive-ins. The two most common sizes of combo posters are one sheets and window cards, although they have been produced in other sizes. The manner in which the movies are displayed on the posters vary, based on how the movie studio wants to promote each film. For example, the top half may have the artwork of one movie, while the bottom half has the artwork of the other. Other posters are split vertically down the middle, each movie�s artwork being presented equally. In still other cases, the studio may focus more on one movie, with just a notation on the bottom saying "also featuring." A combo poster always reflects two full length feature presentations. This should not be confused with posters that have a tag indicating a featurette." A "featurette" is a short film clip that is shown before a feature movie. A poster with a tag like this is not considered a combo. Combo posters are normally released for studio-promoted double features (as opposed to double feature presentations planned by an individual theatre). 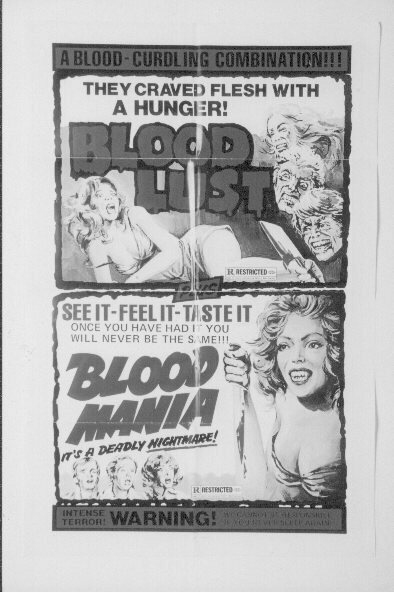 Although rare today, double features were extremely common prior to the 1980's and combo posters were used more frequently during that time. Combo posters are normally reissues/rereleases and rarely command the same value as their individual counterparts. However, if the artwork on the combo is more attractive or unusual in some way, the combo may command more than the individual poster, depending on the title. There are also instances where a studio releases a major film that was several years old and its sequel as a combo, or 2 different movies of the same star, creating an interesting piece for the collector.